Learntodance.com was recently acquired (In Sept 2014) by Leon Turetsky, a professional dance instructor and proud owner of a Ballroom dance studio in Boston MA. On Learntodance.com you will find online dance lessons covering the most famous dance styles including Ballroom, Hip Hop, Belly dancing, Ballet, Irish Step dancing and more. 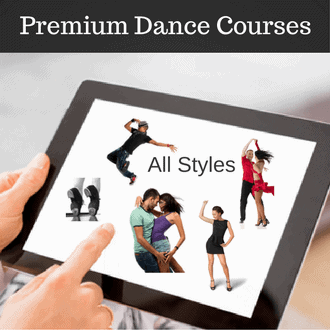 There are tons of free video lessons that are perfect for beginner level dancers. We also have lots of product recommendations for those seeking to take their dancing to the next level. Why learn dancing from our videos? – Learn moves at your own pace and from the privacy of your home. – Review dance steps that you learned in your physical class. – Get extra tips to improve your dance technique. – Learn any style of dance you want. – Rewind, Pause, Fast Forward to get all of the goods. – Watch online 24/7, from anywhere in world! If you find the lessons on our website useful please share them with your friends. Our videos make learning how to dance very easy but we also offer other dance resources like the dance studio locator – which will help you find dance classes around your area. Lastly, if you have any questions at anytime please contact us for more information.